It's been the most talked-about genre film event of the year. Ridley Scott returned to the scene in a big way this month with Prometheus, the sort-of prequel thingy to his 1979 magnum opus Alien. And since it's release, the web has been abuzz with everyone and their Mother (heh, get it?) trying to dissect, analyze and explain the movie. 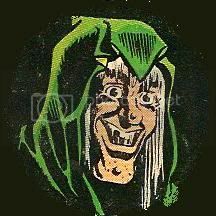 Well, I'm not here to do that today (although I do have no shortage of theories by any means...) No, rather, I decided to do something rather novel, which you may not have been seeing nearly as much of. I'm going to review the movie. Is Prometheus a great science fiction film? Yes, it is. It is also a pretty damn terrifying horror film, as well--two things its predecessor also was. Scott is in full form here, returning to play in the universe he first lured us into some 33 years ago. And while many were puzzled by the narrative detour he took, I for one really enjoyed how the film tangentially ties into the Alien mythos, while also being detached enough to completely stand on its own, as a very strong work of horror sci-fi. 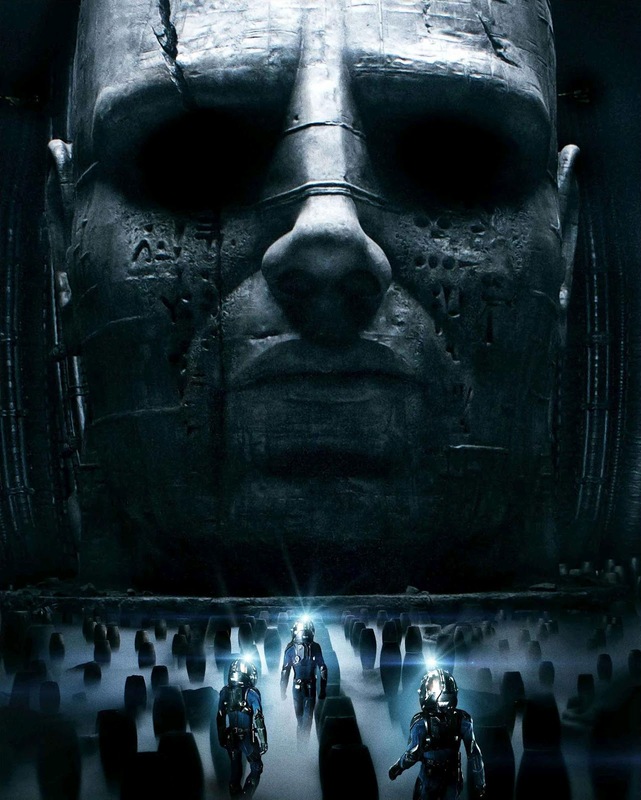 I admired the guts it took for Ridley Scott to make an intelligent, thoughtful piece of sci-fi in the year 2012, when science fiction has come to be almost synonymous with action--such a far cry from its pre-Star Wars form. I also admired the guts it took for Scott--as well as screenwriters Jon Spaihts and Damon Lindelof--to make a movie that doesn't feel the need to explain everything. And I don't just mean in a lazy way, as if they honestly don't know which way they're going (a la Lost or Heroes, for example), but rather, it's very clear that Scott and company know exactly how everything fits together--they're just leaving a lot of it for us to sort through. Which we've all been doing ad nauseum for the past few weeks. And while it may be a bit cynical to craft a film which can only be explained by its inevitable sequels, I for one will be sure to be on line to see them. In many ways, Scott seems to have taken his lead from Stanley Kubrick and Arthur C. Clarke's 2001: A Space Odyssey. Also a film in which humanity ventures into space to meet an alien intelligence instrumental in its own development, 2001 asked more questions than it had the definitive answers too. And much like Prometheus, it also looked great doing it. Plus, Guy Pearce as the elderly Weyland is a dead ringer for the aged Keir Dullea, and the resident android happens to be named David--the same name as Dullea's character in 2001. Speaking of David, it is Michael Fassbender's enthralling portrayal of this character that steals the show. What would a movie in the Alien universe be without a captivating android, and just like Ian Holm and Lance Henriksen before him, Fassbender (looking astonishingly like a young Laurence Olivier) is the standout of a solid ensemble cast. At times sinister, at others sympathetic, yet strangely vain and Pinnocchio-like in his interest in human culture, David epitomizes the film itself: complex, with no easy answers. 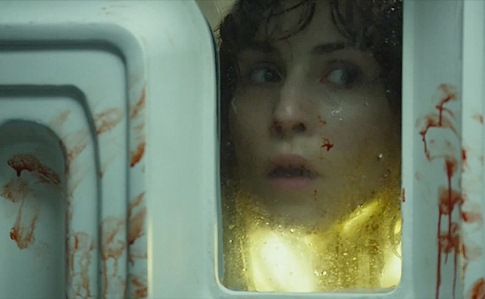 Also worth noting is the lovely Noomi Rapace, who, in the role of Elizabeth Shaw, is a very worthy successor to Sigourney Weaver in the strong-female-lead department. Her "childbirth" scene is easily the most intense in the entire film. The always engaging Idris Elba is in top form as the captain of the Prometheus--the Tom Skerritt role, if you will, albeit far more decisive and effective a leader than Skerritt's Dallas ever was. 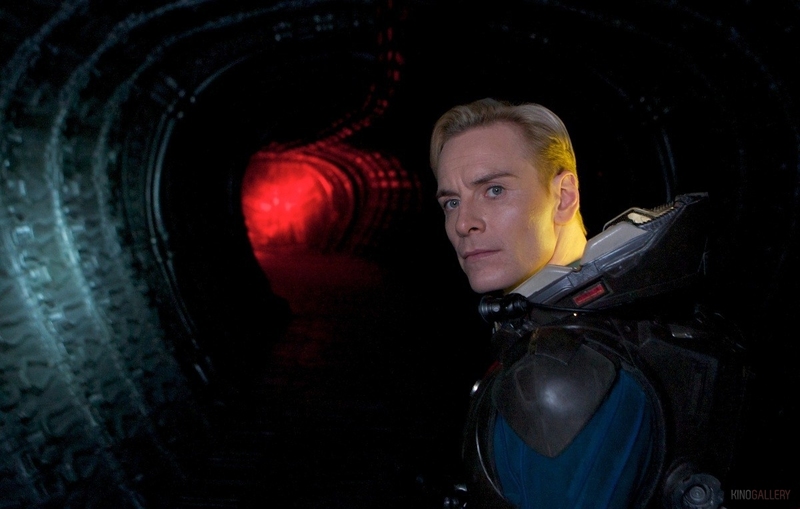 Also like 2001, Prometheus is a true feast for the senses. The production design work by Arthur Max, whose past credits include the likes of Gladiator and Seven, take the original designs of H.R. Giger that inspired the whole Alien mythos in the first place, and translate them effortlessly into this tangential narrative. Yet all the while, Giger's heavy influence is there. This is even true of the very humanoid Engineers (a.k.a. Space Jockeys) who are, as their xenomorph predecessors were, like Giger illustrations literally come to life. Amazing work here by costume designer Janty Yates and a crack makeup design team. So is it scary? Does it work as a horror film? I can certainly say that it's the most frightening "Alien" film since the original, and it's no wonder why. Ridley Scott brings the same "haunted house in space" sensibility he brought to his 1979 masterpiece, and it pays off once again. 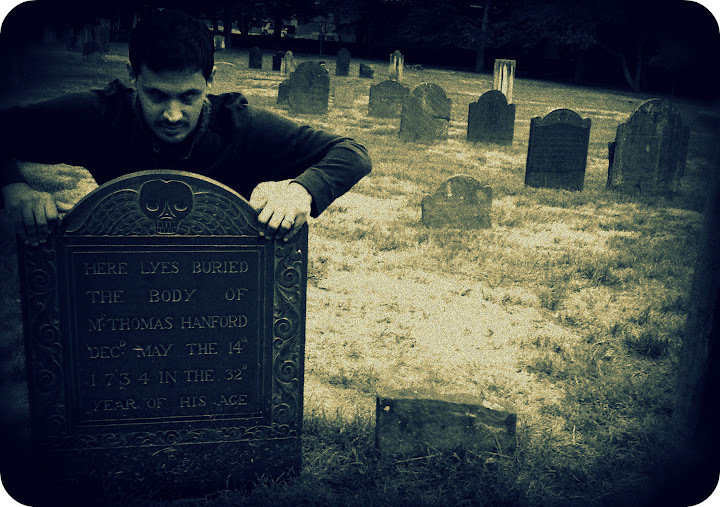 The man is a master of generating thick atmosphere and an overall sense of weirdness, and his aim is further aided by the very talented Dariusz Wolski of Pirates of the Caribbean fame behind the camera. 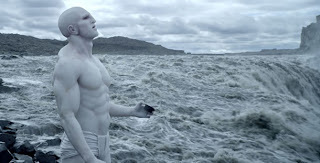 Just as Alien did, so does Prometheus work well as both a horror and science fiction film--although this one might be tilted more in favor of sci-fi, whereas Alien was more horror-centric. One doesn't get much really intelligent sci-fi in theaters these days, and I usually jump on it when it's out there, much as I did with Moon some years ago. This is a film that isn't afraid to think big thoughts and ask big questions about the nature of man, the nature of life, and the nature of the universe. That's what great science fiction has always been about, going back to the classic days of pulps like Amazing Stories and Astounding. I enjoyed the way it delves into the whole alien astronaut concept of the origin of life on Earth. It's just as much Chariots of the Gods as it is 2001. And for the record, I applaud the studio's decision to go with Lindelof's notion of taking the script in a different direction from being a pure Alien prequel. It works better for it. Let's face it, the xenomorphs have been overexposed thanks to those god-awful Alien/Predator flicks, and it was wise to put them into the background. By turning it into a completely different story that happens to take place in the Alien "universe", the filmmakers allowed the picture to work completely on its own terms. It tells its own story, and you absolutely do not need to have seen any of the Alien films to appreciate it on its own. The fact that it still contains teasing elements of prequel-ness is just acidic icing on the cake. 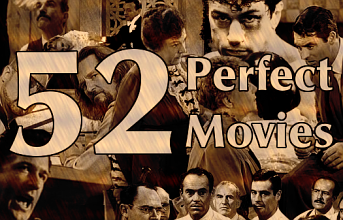 It's a very thought-provoking film--some might even say frustrating. But it is a great pleasure to watch, and represents genre filmmaking at its best, as far as I'm concerned. Does it leave you hanging in a big way? Yes. Does it provide you with nice, pat, satisfactory answers? No. 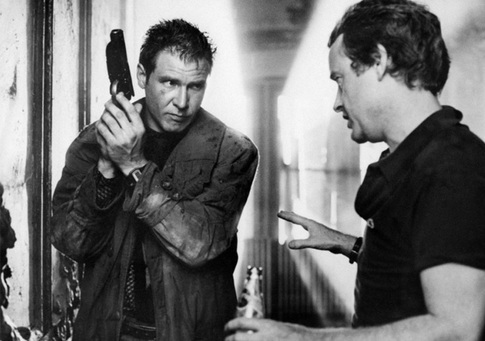 But what else would you expect from the guy who gave us Blade Runner? I'm looking forward to seeing it. I probably would have already, if it weren't for being broke as hell. I prefer horror that is at least somewhat cerebral, as opposed to a gore-fest. I agree with you there, Rose. And this one delivers in spades. It is great to see adult oriented science fiction in the service of something other than an action plot, but I still think the film had flaws from a story standpoint. I don't mind having unanswered questions in the context of any film, but once the black goo mutations started the story started breaking down for me. That being said, I've devoted a lot of mental energy to dissecting the film and talking about it with others since seeing it. I've not seen many movies recently that had that kind of staying power in my head. It did leave me with a lot of questions as well, but I was ok with that. The entire experience was so fascinating that I was willing to accept not getting all the answers, if that makes sense. I personally enjoyed Prometheus even if there were a lot of questions left at the end. Honestly that probably will ensure its success for a sequel or trilogy. I agree! Who says all the questions need to be answered by the end? Ever hear of 2001? I'm very much looking forward to the sequel.